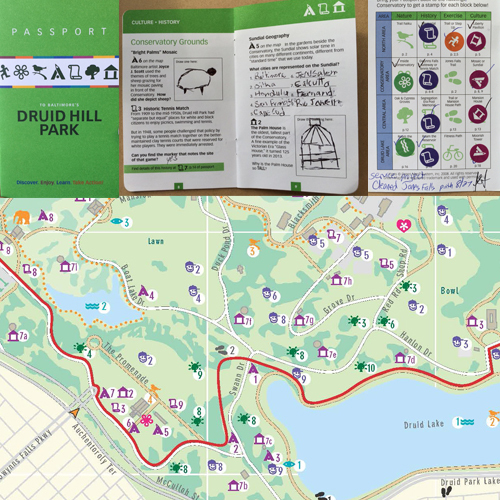 The Druid Hill Park project had the dual goal of demystifying Baltimore's 745-acre central park, first the map showing the variety of experience available there, then through the interactive passport, luring people to explore it more fully. This is a continuous resource, the map updated periodically and new experiments with digital scavenger hunts. The passport shows the diversity of resources in all parts of the park, from disc golf course, to zoo, to Conservatory, to walking/running trails and much more. 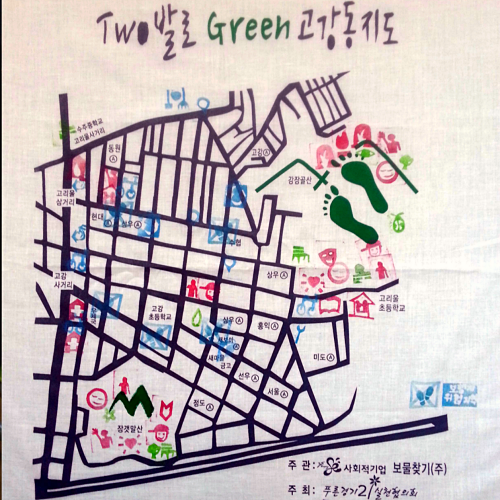 The Passport activities are categorized under Nature, History, Culture and Exercise. It has been used by schools, summer programs, and for individuals and family explorations. The Conservatory has colorful icon stamps for rewards.